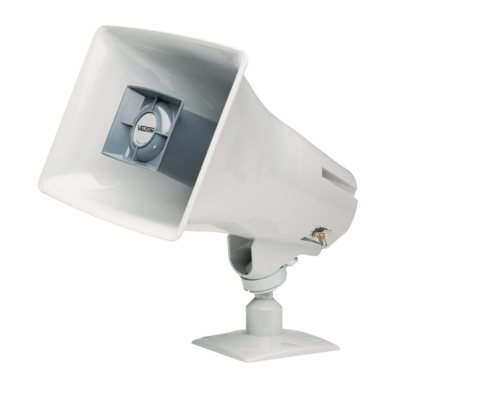 All certified Valcom devices come pre-loaded with Syn-Apps' royalty-free API; providing seamless plug-and-play integration to Syn-Apps' next-generation notification platform, Revolution, or Syn-Apps' legacy software, SA-Announce. 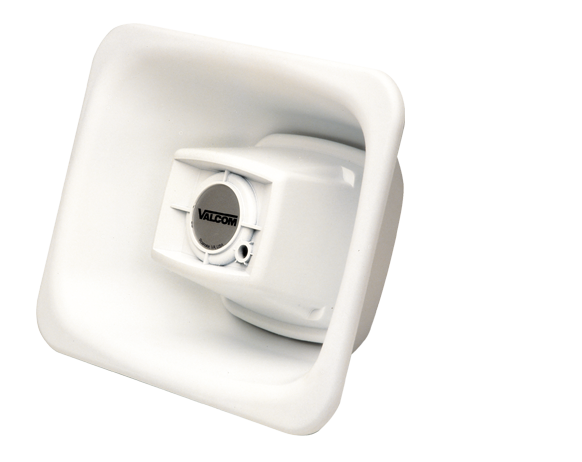 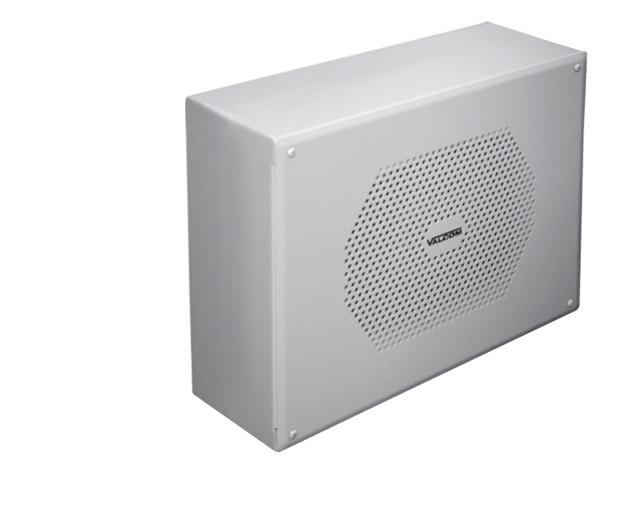 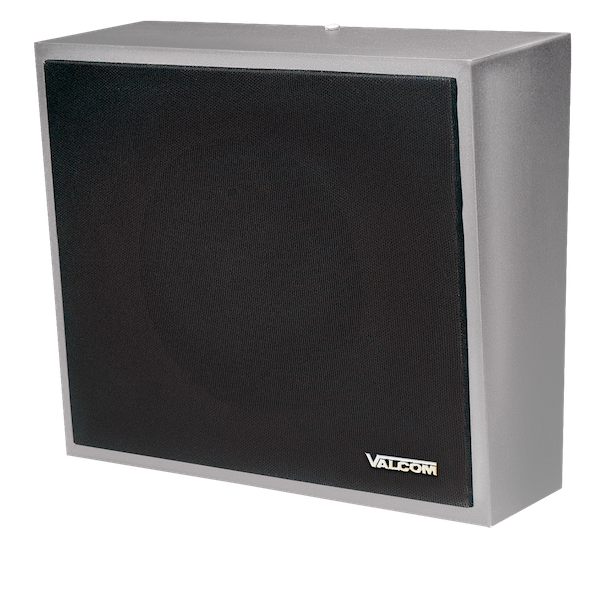 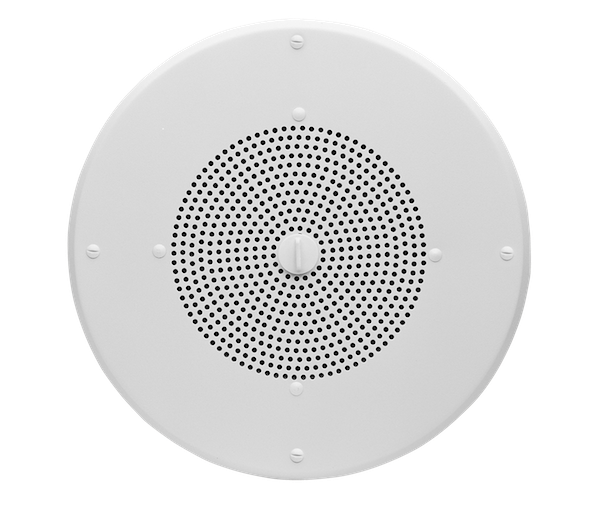 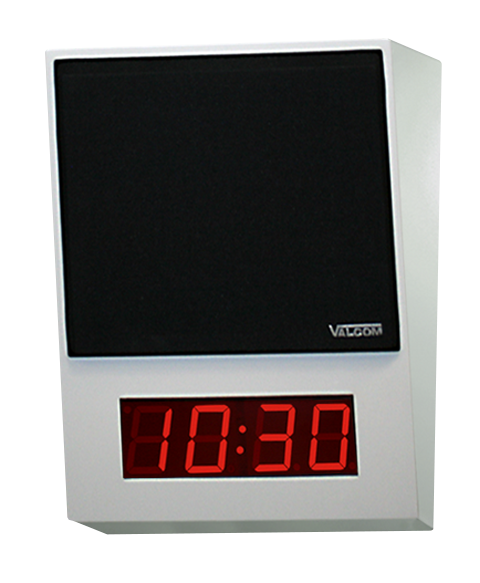 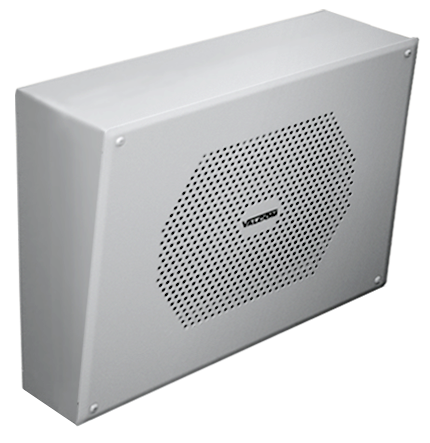 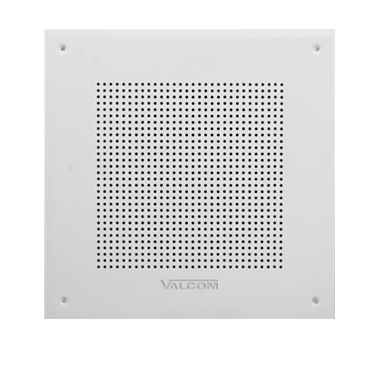 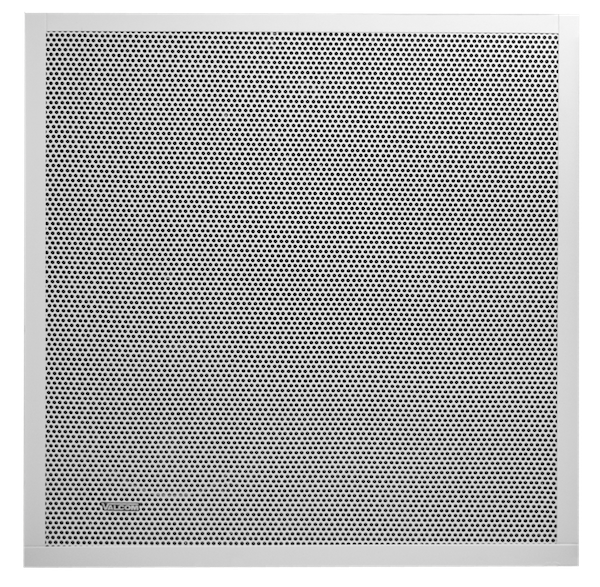 The speaker is ideal for offices and locations that require both voice paging and background music. 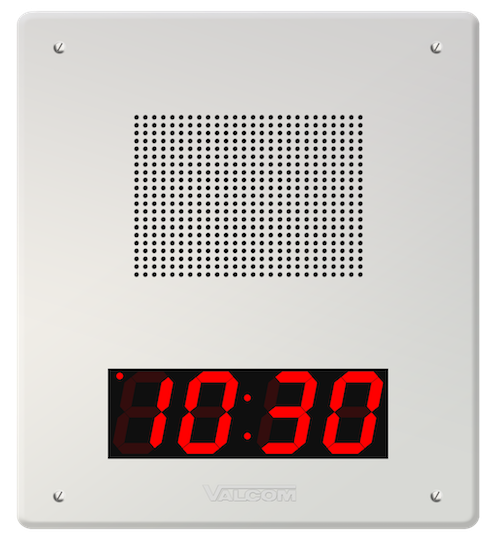 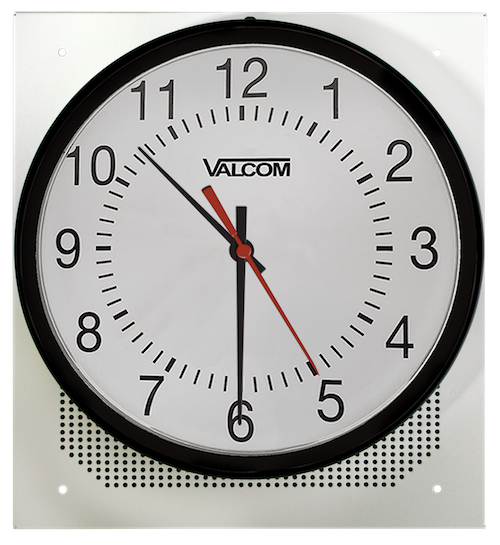 Digital Clock/Surfaces ensures an attractive and effective solution for any environment: Offices, Meeting Rooms, Gymnasiums, Warehouses, Hallways or Outdoor Areas. 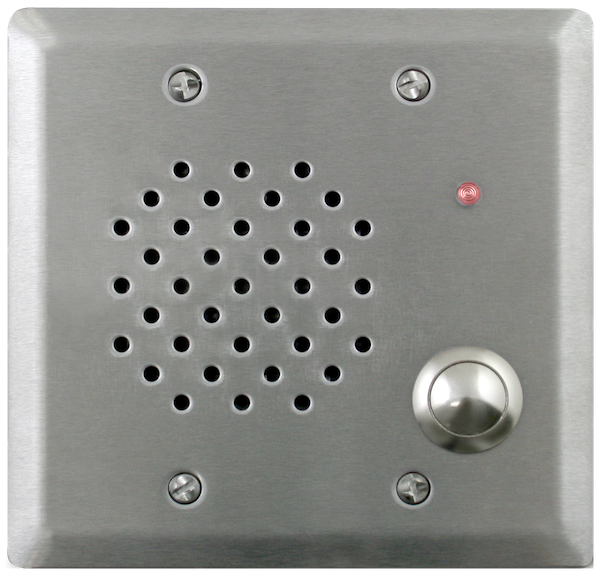 Designed with the same functions of the traditional FlexHorn, but incorporates a tamper resistant faceplate and resistant screw removal.